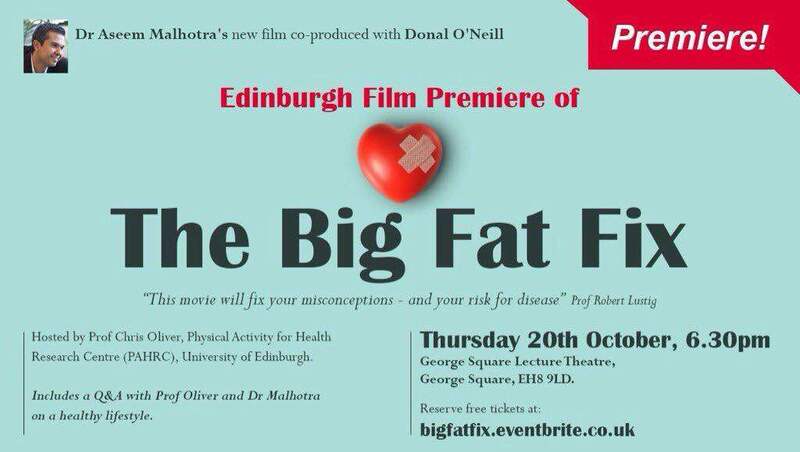 Here’s a must listen BBC Radio interview with my co-producer and former international athlete Donal O’Neill explaining why The Big Fat Fix is the beginning of a global health revolution. Nuts, olive oil and vegetables are the best heart medicine ( too many prescriptions cause massive waste and harm the public). It may be hard to believe, but poor diet now contributes to more disease and death than physical inactivity, smoking and alcohol combined (according to The Lancet). We have been guzzling sugar, refined carbohydrates and industrial vegetable oils as never before, with devastating consequences for public health. The combined costs of type 2 diabetes and obesity to the NHS and UK economy exceed £20 billion. My new movie – “The Big Fat Fix” – Premieres at Westminster to British Members of Parliament on July 21.